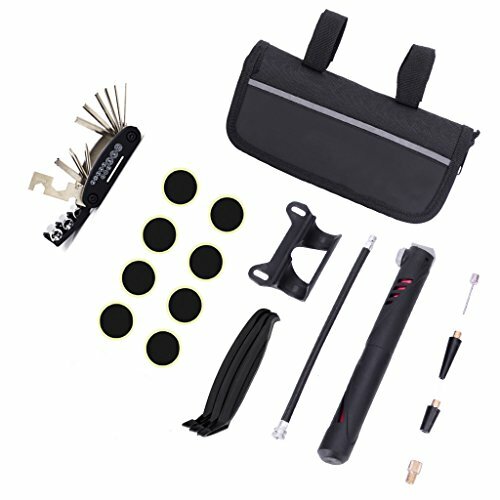 Mini Bike Pump Presta And Schrader Compatible - Secure thread-on valve connection, enables a tight seal with no air leaks. Not compatible with non threaded valve extenders. For Presta valves with removable cores, extra care should be taken to tightly screw the core into the valve stem. Mini Bike Pump - Fits Presta & Schrader Valve, High Pressure 210 PSI Bicycle Tire Pump for Road and Mountain Bikes, 6.9 Inches.